Aprilaire model 4040 replacement solenoid. Genuine Aprilaire solenoid for model 220, 224, 440, 550, 558, 560, 568, 600, 700, 760, 768. Includes the strainer 4004, installed in valve body. 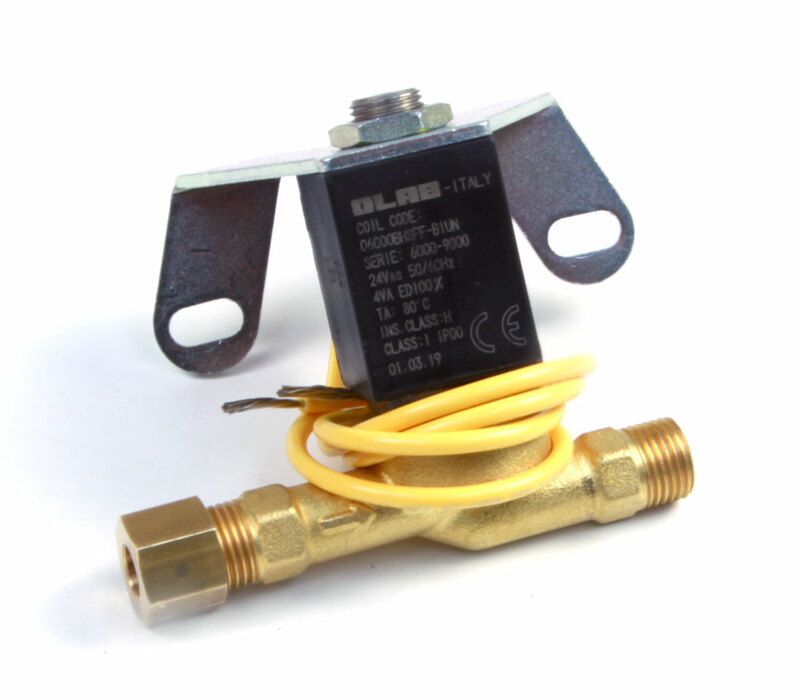 Specifications printed on solenoid body: 24 volts, 60 Hz, Orifice (3/32 - 3/64). Both the inlet and outlet are threaded 7/16"-24 UNS for accepting a compression fitting for ¼" tubing. The inlet includes the compression fitting & ferrule. For the outlet, your existing compression fitting is reused.